Holding Back The Years - A blend of original songs and classic covers that are crafted beautifully with lush melodies and easy grooves that will get you movin' to the music. Click on a highlighted song to listen to the sample. Smooth Sax at Sunset combines timeless favorites as well as jazzy interludes to provide a relaxing mood, whether it's at sunset or any time of the day. The release of his first solo CD, "The First Time", has given Norm access to a much larger audience as it is doing well in Europe as well as here on the West Coast. 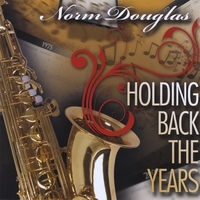 Good music is timeless and the "First Time" will certainly not be the last for Norm Douglas. Click on an bandwidth option under a highlighted song to listen to the sample.